Vapple's 16 oz. liquid spray is formulated to smell exactly like our powder. The liquid is super strong and can be used on clothing, boots, and brush to cover your scent. This is the only 2-in-1 scent and UV control formula on the market. 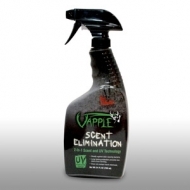 Neutralizes odor on contact and also eliminates new odors from forming. The UV glow found in camouflage clothing fabric will be eliminated, as well. 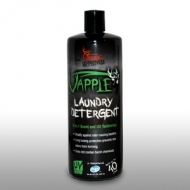 So why not eliminate your smell and UV from your clothing with a simple spray before walking into the woods?